There are a few things that are more annoying than a shaking steering wheel while you are driving. A shaking steering wheel is bad for your car, and it may wear out bushings and other suspension parts very fast. This is why you should fix a shaking steering wheel as quickly as possible. 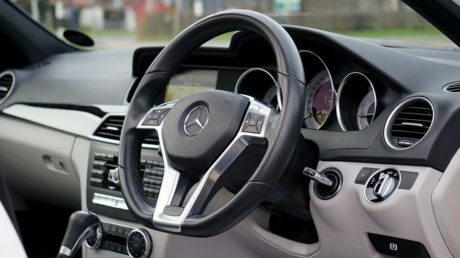 In this article, I will teach you the most common causes of a shaking steering wheel and how you can fix it as fast as possible. 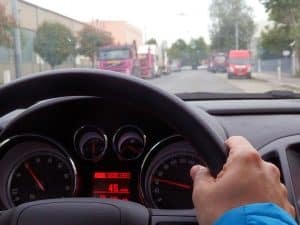 There are a lot of different causes when it comes to a shaking or vibrating steering wheel, but I will list the most common parts, and I will teach you in what direction you should start your troubleshooting. This is a general list of possible causes. Go further down in the article to find the topic that fits you the most. If your steering wheel is shaking at high speeds and you can’t feel a more/less shaking when you are braking or accelerating, the most common problem is unbalanced tires or damage to one of your wheels. If you feel heavy shaking in the steering wheel when driving, the problem is most likely at one of the front wheels. 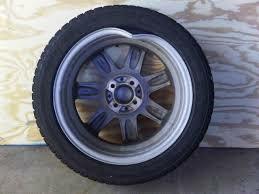 Jack up your front wheels and turn them in the air while looking at the tires for any uneven signs. Tire separation can happen, and the tire gets humps that will make your steering wheel to shake. Check for any rough signs and damages at the rims also. If there is a lot of dirt on the rims, clean it up and try again. Check that your tire pressure is correct with a tire pressure meter. If you want to buy one, you can check out one in our article Best Tire Pressure Gauge. You can try to switch the front and rear wheels to see the problem is changing or disappearing. If you notice a difference, you do probably have an unbalanced tire. Check for any worn bushing or damaged/loose parts in your front suspension. Try to push both front wheels in all directions when the front is jacked up, to check for any plays or strange sounds. If you can’t find any damage to the tires or rims and no loose parts in the suspension, the wheels may be uneven and unbalanced. If you check the inside or outside of the rim, you can see some weights fitted. These weights are to balance the wheel. Sometimes the balance weights are coming loose and fall off, and it will create unbalance from your wheel. To balance with new balance weights, you have to use a wheel balance machine. The most workshops do have one, and it does not often cost that much to get it done. Count around 20-100$ depending on where you live. If you have a rear wheel drive or 4wd car, the shaking is most often be caused by an unbalanced Cardan shaft if it happens during acceleration. This can be difficult to diagnose without a balancer, and you should always check the things listed before this before replacing the Cardan shaft. What you can do is to check the joints to see if they are damaged. If you have a damaged joint, you can often replace only the joint, but it’s hard to get it 100% balanced. So I recommend to let a workshop do it for you, or replace the Cardan shaft. If your steering wheel is just shaking while you are braking, there is most likely a problem with your front brake discs. If you can feel the vibrations while braking, but not in the steering wheel, the problem may be with your rear brake rotors. Jack up the front of your car and check your front discs for any damages or rust. It’s important to check the inside of the discs. Also, you can do it easy if you remove the tire to inspect it. In many cases, the disc itself got unbalanced (Especially BMW) and made shaking and vibrations in the steering wheel. If the discs are in good shape and got a lot of material left, you can give the discs to a workshop to let them lath them for you. But with my experience, it’s often cheaper and will provide a lot better result to buy and replace them to new front discs. The shaking when braking could also be caused by a play or any worn bushing in your front suspension. This is not that common problem, but it can be worth to check instead of replacing the discs the first thing you do. If your car is only shaking when you are accelerating, and you have a front wheel drive, a possible cause is an unbalanced drive shaft or a cv joint. Check for any damages on the driveshafts and the cv joints. Check if you can feel any play that should not be there. If you have a rear wheel drive and can feel vibrations when accelerating, but not in the steering wheel, there is most likely a problem with the rear driveshafts or Cardan shaft. In my experience, this could be hard to diagnose with the right tools. (Even with them). I can tell you with reasonable confidence that if you can feel a massive increase of vibrations when you accelerate hard – There is a driveline problem. 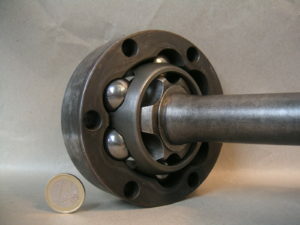 Give the driveshaft to a real professional to diagnose them accurately, or replace them if you feel confident about it. To figure out if it’s the left or right driveshaft can be tough without balancing them. If your steering wheel is shaking only when you are turning and accelerating, it is most likely a worn out CV joint. You could probably also hear some clapping noise from them. If you hear that sound, check the CV joint gaiter for any leaks, if the grease is leaking out from the gaiters, and water pours in, the joints will get damaged fast, and you do probably have to replace the CV joint. Sometimes you can replace the gaiter and fill them with new grease, but it’s often just a temporary solution, and after some miles, the sound will come back. Go to a parking lot and turn the steering wheel max to the left and start accelerating. When you are doing this, you will get the sound noticeable, and you can probably identify if it’s the left or right CV joint. The most common cause of shaking in the steering wheel is an unbalanced wheel or a damaged tire or rim. Always start by checking these parts, if the shaking is consistent. Balancing your wheels at a workshop is often not that expensive and could be worth it, even if there is another fault. 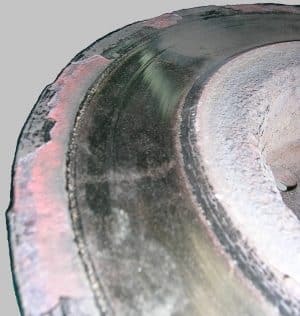 Uneven Front brake discs is a common cause if the steering wheel is shaking when braking. If you have any other kinds of shaking from your steering wheel and can’t find it in the article, you can comment down below, and I will answer your question as fast as possible. You can also tell your story of how you fixed your shaking problem. If you have any other questions about this topic, leave a comment down below! I have Mercedes E300 2012 steering is is shaking and knocking sound when turning right and left while the car stop otherwise when I’m driving the car nothing happened. I already changed steering box then the knocking sound disappeared but still it is shaking when turning right and left only while the car is stop.by the way after changing the steering box the steering wheel become little harder while turning right and left. Please advice if you have any previous same story.